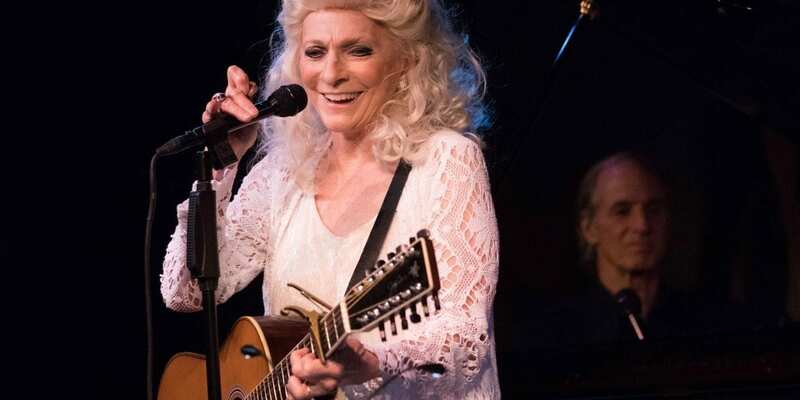 I wasn’t sure what to expect from a Judy Collins show at the fabulous Café Carlyle. She has been a regular performer there for several years now, but I have never seen her in person, so I thought the opening night of her April show, “Love Letter To Sondheim,” would be a good time to make up for that. 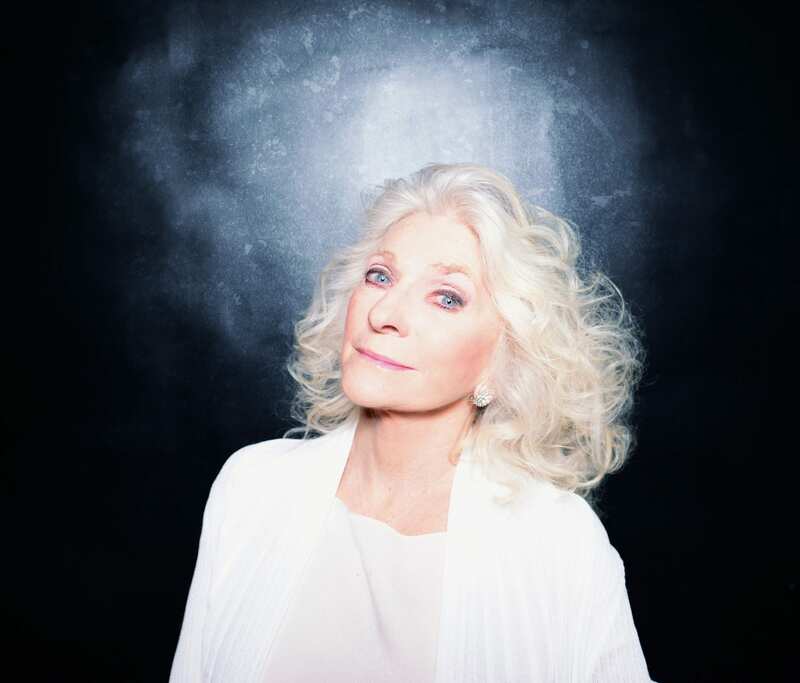 I was a teenager during Judy Collins’s peak years as a concert star and recording artist, and though I didn’t collect her albums, I always appreciated how well she sang – actually, the only knock on Judy Collins, when I was growing up, was that she sang too well, for the grungier musical times we lived in then. Her languorous folk soprano was elegant and almost show-like, but hey, she logged some major AM Radio airtime, and rightly so, with the Joni Mitchell classic, “Both Sides, Now” and much later in her career with Sondheim’s “Send In The Clowns,” which she of course nailed. But, back to the Carlyle. She takes the stage, at nearly my mother’s age, statuesque, slender and radiantly beautiful, with a dazzling mane of silver-white hair cascading halfway down her back, clad all in white and looking for all the world like some kind of human unicorn. The Carlyle is a small room, no question, but this is the first time I have ever been able to tell the performer’s eye color all the way from my seat at the bar. Her eyes are blue, people, but blue like Ireland is green when seen from outer space. Stunning. An honest to gosh Folk Legend, pushing eighty but decked out like sweet nineteen, strumming a guitar and singing into the microphone. An amazing presence, an astonishing entrance onto the Carlyle stage by a woman who could easily pass for fifty, tops. If you are, or were, a fan of Judy Collins, you will most probably enjoy what follows. 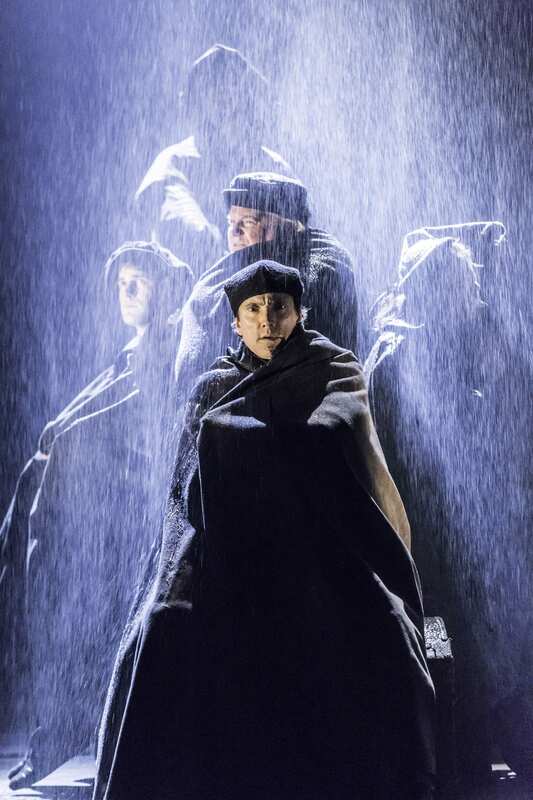 Fashioned as a musical Valentine of sorts to Stephen Sondheim, the program is very heavily pitched at some of his best, if most demanding, songs. We’re talking songs like “Being Alive,” from Company, and “I’m Still Here,” from Follies, both of which set a very high bar for performers, both vocally and emotionally. I am certain that, in her heyday, this would have been child’s play for Ms. Collins; when she was younger, and could rely on just her voice, that beautiful bell-like soprano would have expressed everything. There were some real standout moments, especially when her accomplished musical director and accompanist, Russell Walden, took a short hike so she could accompany herself on the piano while she sang. Her down-to-earth renditions of “Suzanne” and “Chelsea Morning” were especially strong, and it was clear from the warm ovation she received at the show’s conclusion that her fans still appreciate her extraordinary gifts, after all this time. Performances will take place Tuesday –Saturday at 8:45pm. Weekday pricing begins at $125 per person/ Bar Seating: $90/ Premium Seating: $175. Weekend pricing begins at $150 per person/ Bar Seating: $95 / Premium Seating: $200. Reservations can be made by phone at 212.744.1600 or online via Ticketweb. 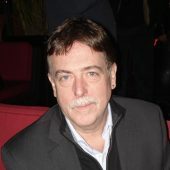 Café Carlyle is located in The Carlyle, A Rosewood Hotel, 35 East 76th Street, at Madison Avenue. Dress code is chic attire; for gentlemen, jackets are required.